16 and 18 Bowker St.
14 Bowker St. to the left. Rear of house on Brook St. to the right. 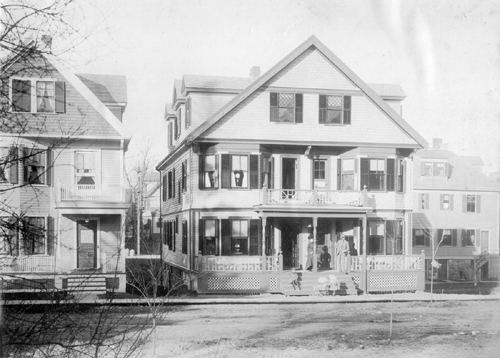 Note mother, father, and two children on front porch of 16 Bowker.